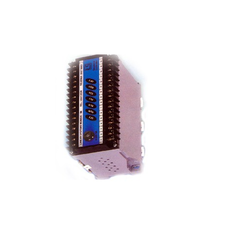 We are engaged in manufacturing and exporting of Sequence Controllers. Various models are available in single pole & two pole applications. These equipments are available at reasonable prices. Our offered range of products is widely appreciated by the customers for features like low power consumption, application specific design and excellent performance. Model 107-S-60, 107-S-30, 107-M etc. Looking for Sequence Controller ?